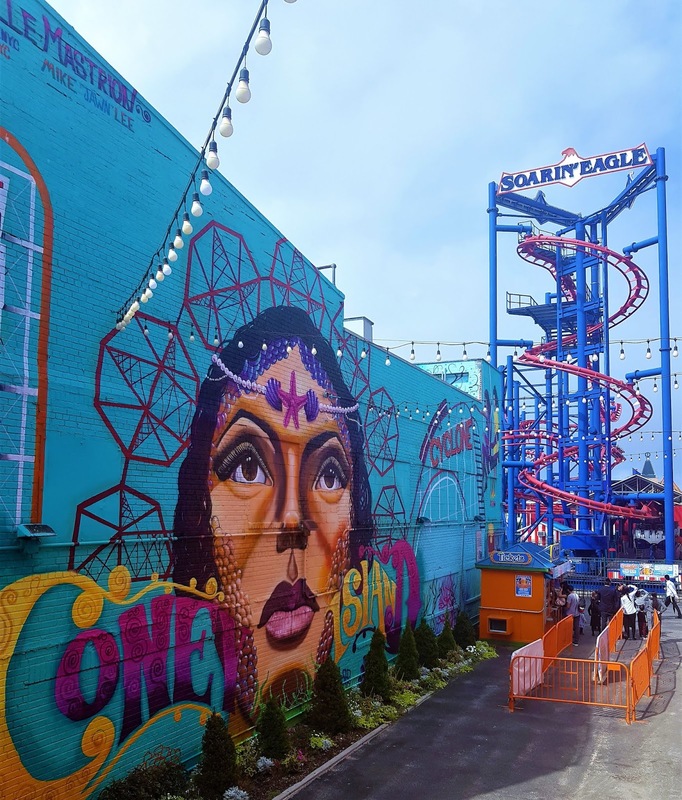 it takes less than an hour to get to coney island from manhattan - less, if you're already in brooklyn (unless you have to go into manhattan and change trains, like we did), and in the summer i'm told it's like no other place in brooklyn. the bright colours of the boardwalk bars entice not just the kids down to the brooklyn seafront, and were one of the things i was looking forward to the most. 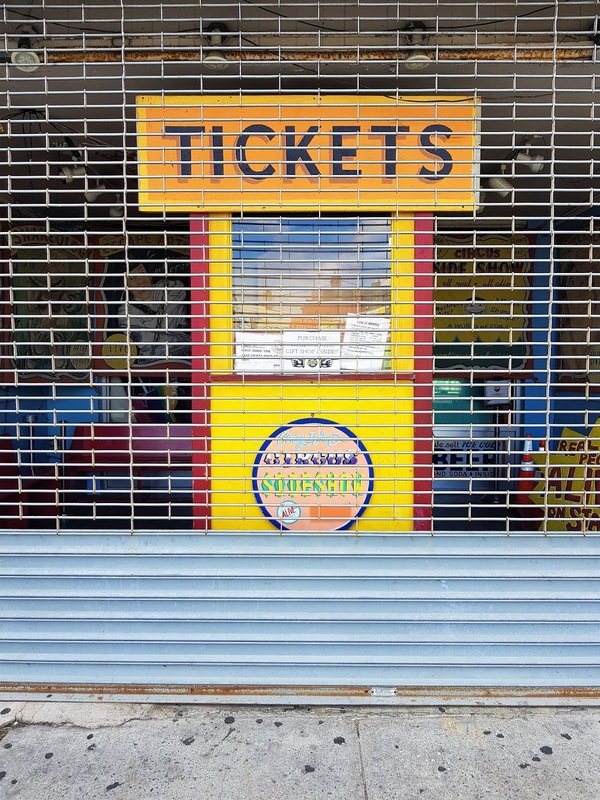 sadly, when we arrived in coney island, they were one of the only things open. 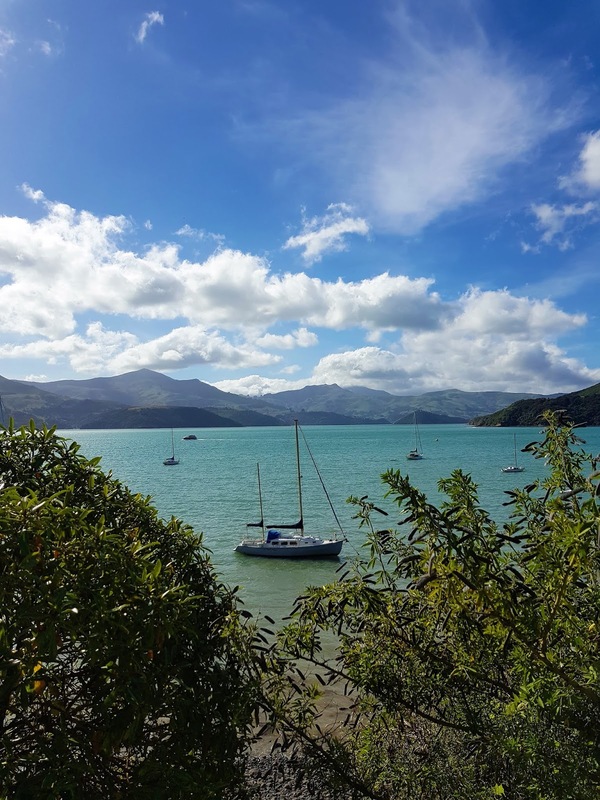 end of season, bad timing, misinformation - whatever the case, a lot of what was on the agenda had to be re-thunk, and in their place, new sights to see. my faves? read on. 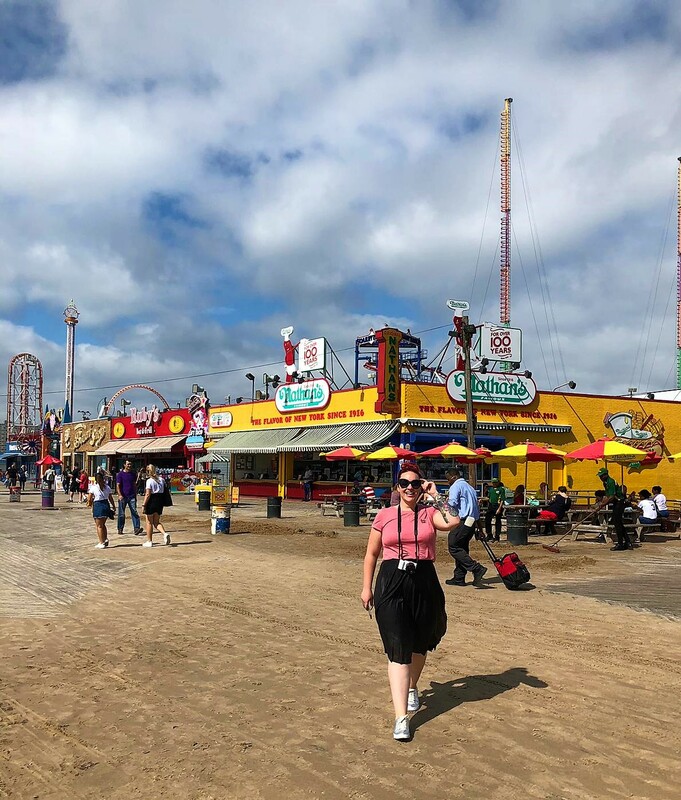 the coney island board walk is as bright and buzzing as i had hoped - eventually (it opens around midday). 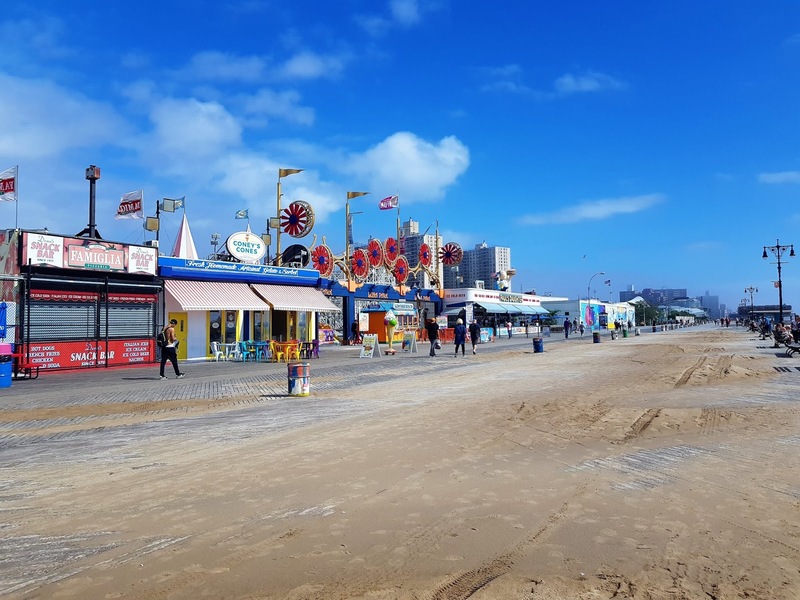 our airbnb was a short walk from the start of the boardwalk, and from there we could walk easily along the seafront, away from the traffic, until we reached the epicentre - the whole thing is about 2.7miles in length. 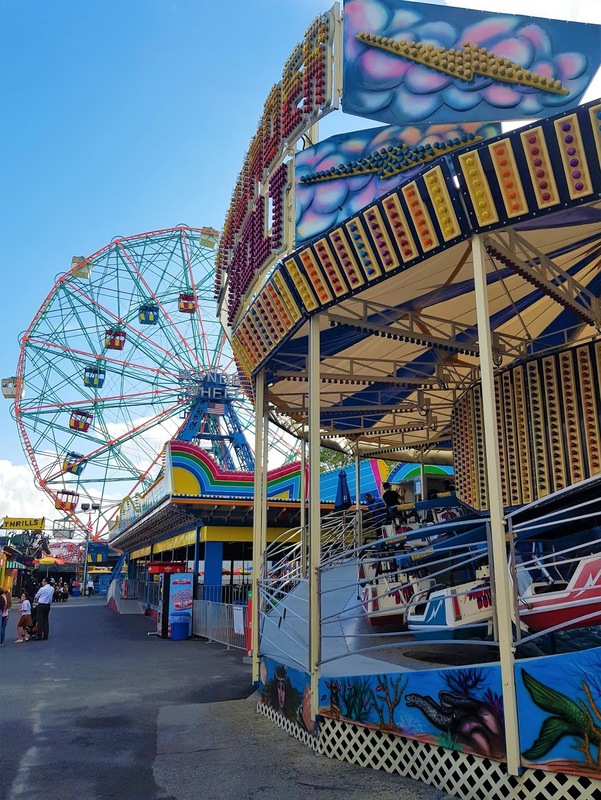 many of the famous amusement parks no longer exist, but the boardwalk is still home to a couple of the great rides from decades past - as well as the new york aquarium, the ford ampitheatre, and the home field of the brooklyn cyclones baseball team. 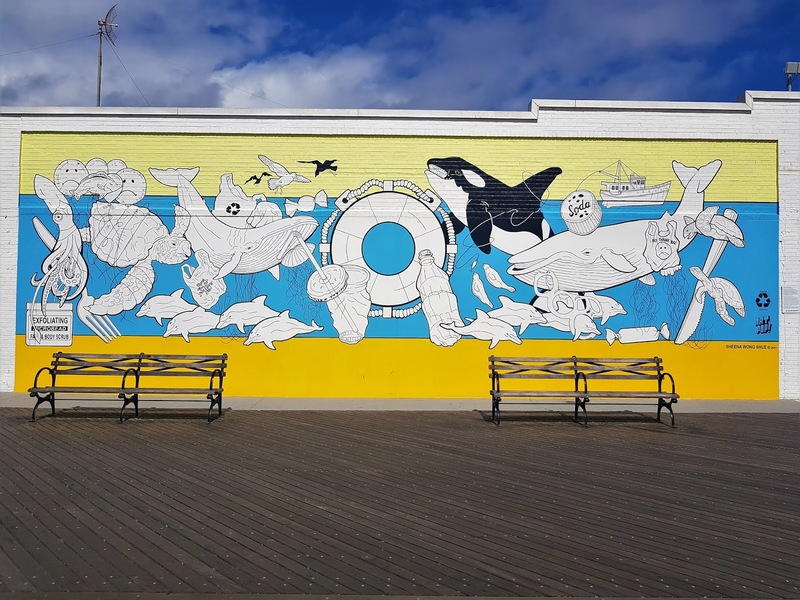 the coney island mermaid parade has taken place along the boardwalk since 1983, and every year is commemorated with a piece of sea-themed art taking place on the walls along from the aquarium - adding more colour to an already cheery lane way. 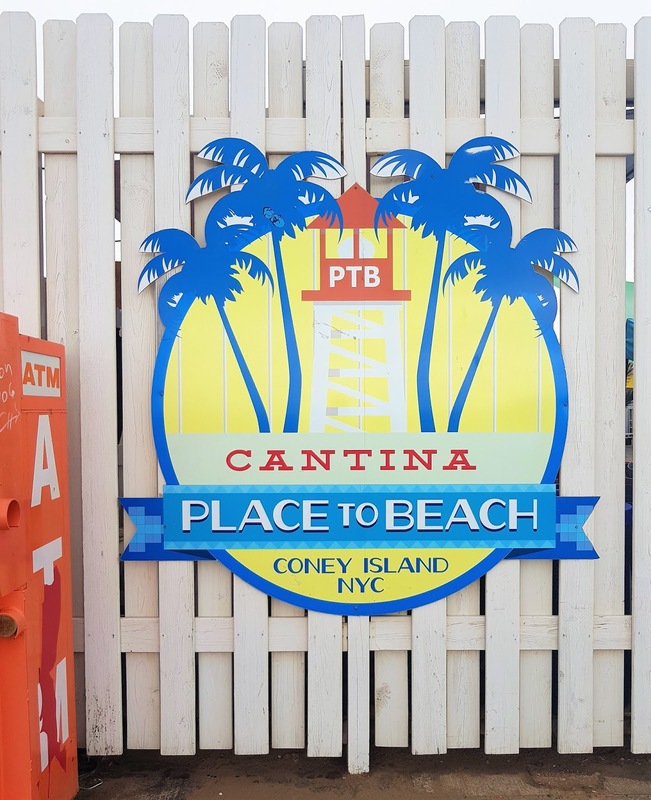 food and drink are the main services you'll find there along the seafront, with access to luna park and the subway not far from the beach. 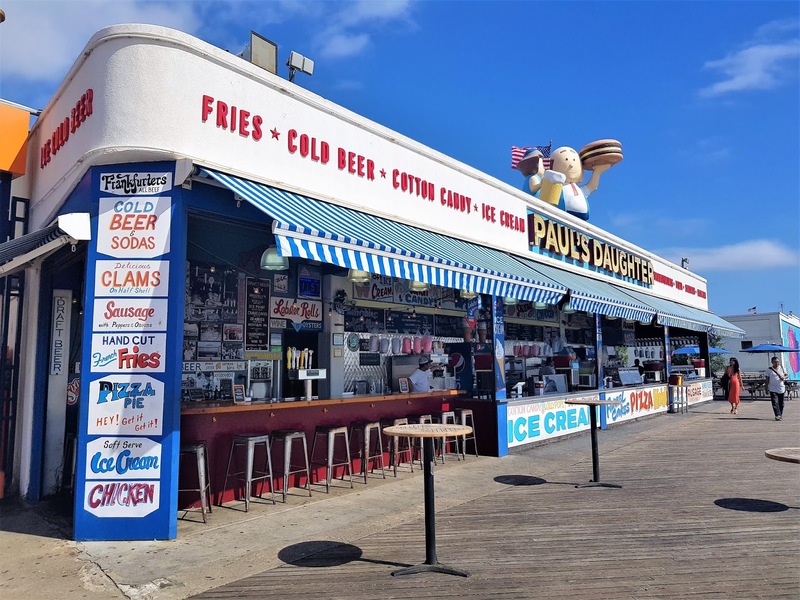 and, as of this year, the boardwalk was given official landmark status - making it the city's eleventh "scenic landmark". 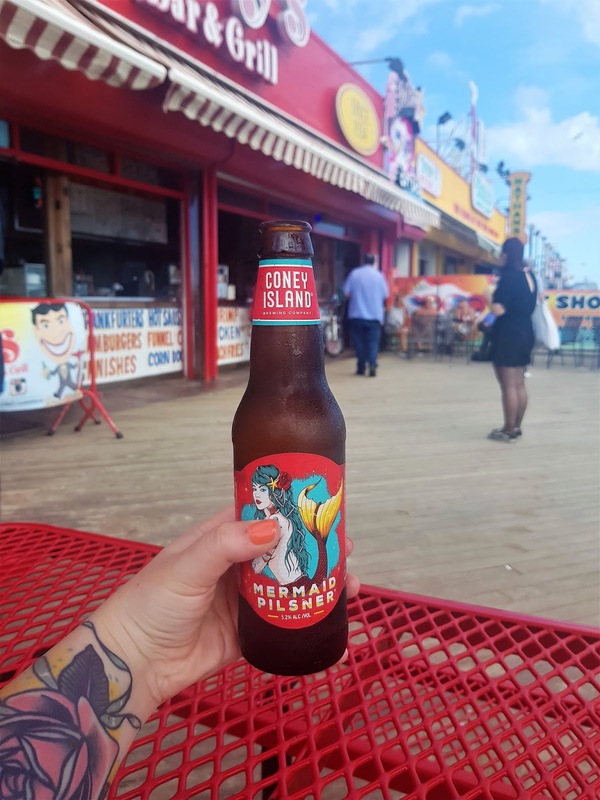 for me, there's nothing more coney island than a mermaid pilsener and a corn dog, while walking along the beach. i feel weird about zoos, right? like, the idea of the animals being taken from their natural habitat and put behind bars for people to point at and interrogate is all a bit barmy to me, so i usually shy away. the same goes for water parks with animals, that have "shows" for the customers, where the animals do tricks and behave - all that jazz; i'm not on board with it. 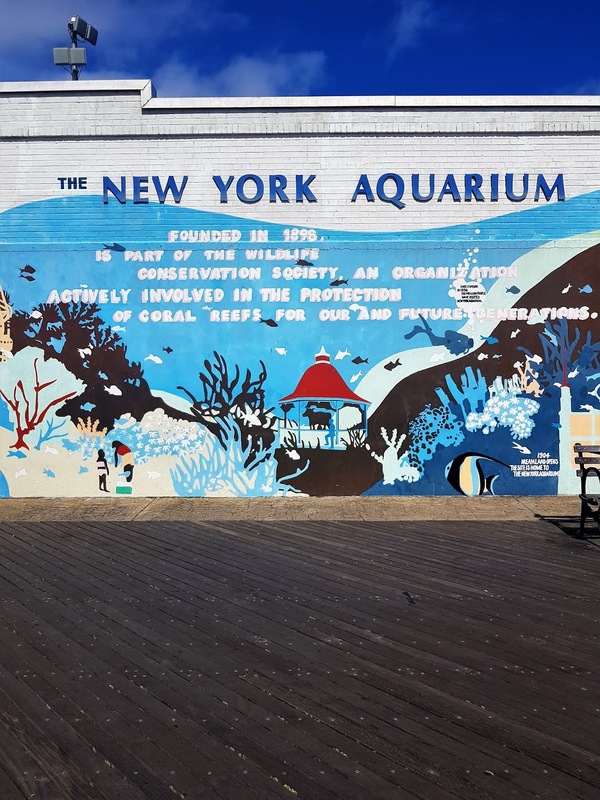 but, the ny aquarium claims to be part of the wildlife conservation society, which tends to fill me with hope. 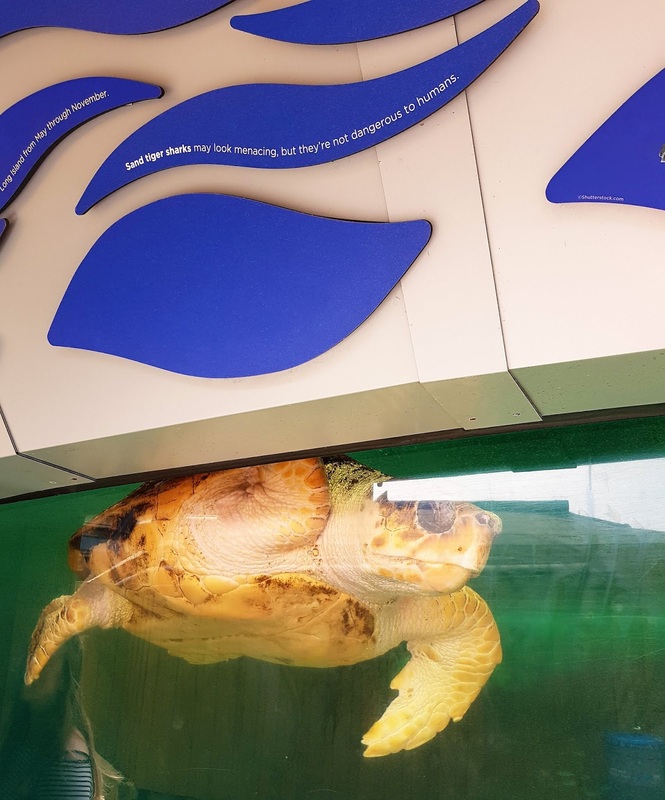 usually this means the animals are rescued and re-homed, treated for medical issues, monitored, tracked, and taken very good care of. because of that, and with a discount site i found online, we decided to give it a go. and actually, it was really great. a lot of it was under construction, with new exhibitions being built for the summer, but what was open was great. 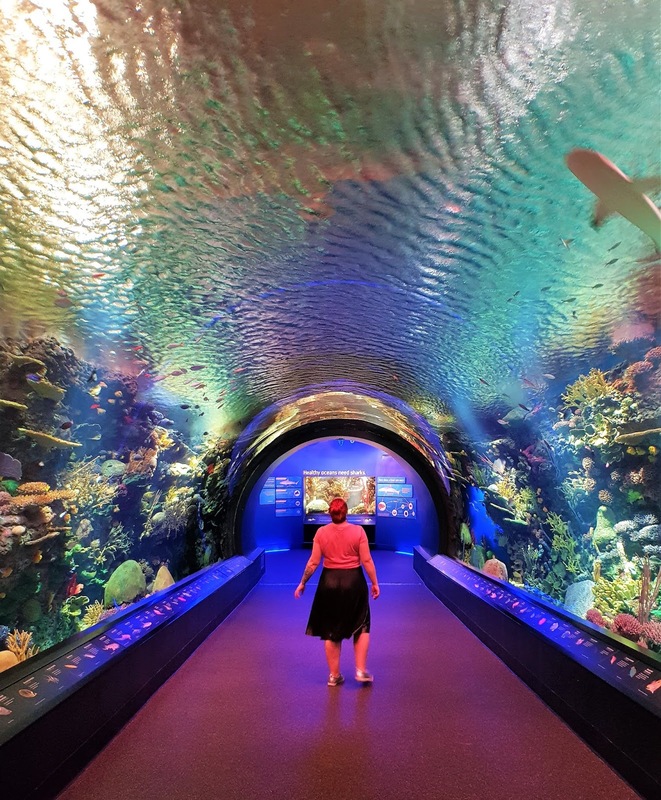 there was a wonderful aquarium tunnel to walk through in the "sharks alive!" 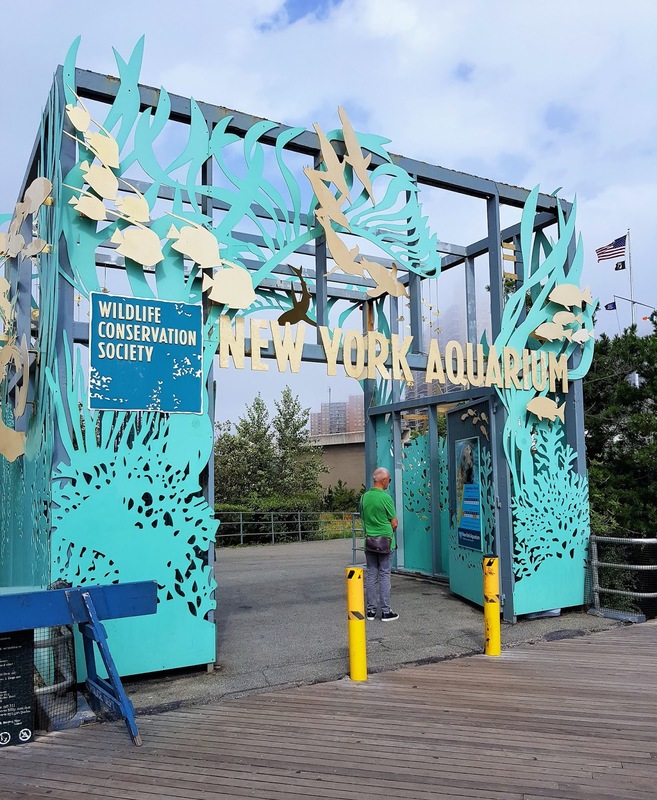 exhibition, and there was even a touch tank where you could get up close and personal with some bamboo sharks that had been rescued from a breeder upstate. we didn't want to, because i still think that's a bit too far (the employees were selling us the idea that these particular sharks are very tactile in the wild, and often sleep in pools inside coral reefs, so they "prefer small spaces and being touched", but.. how could we ever really know that?) 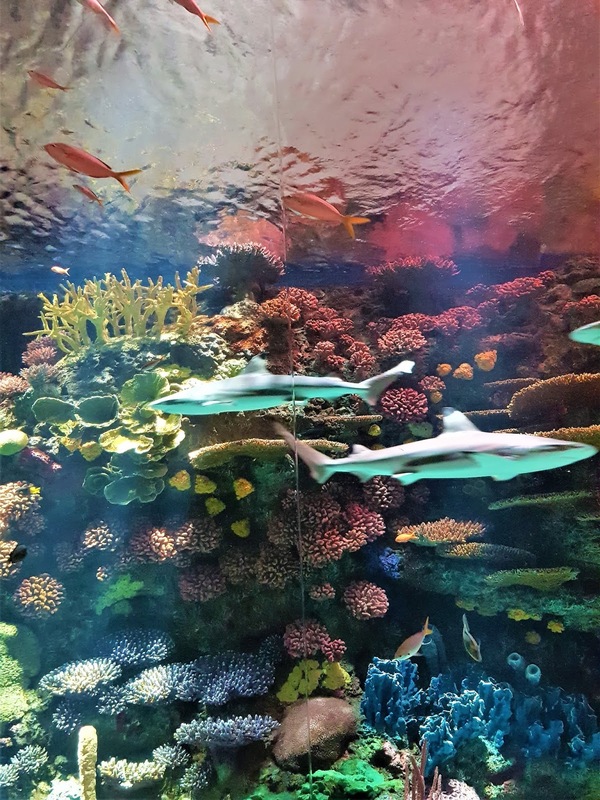 we were only there about an hour or so, which was plenty of time to see what was open, and gaze at some of the earth's most magnificent fishies. 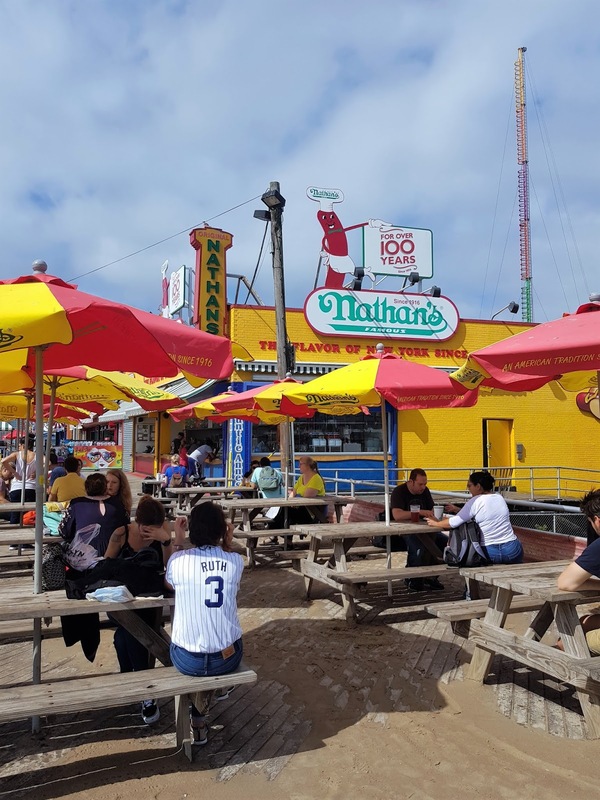 apparently you can't go to coney island, and not have a nathan's hot dog. 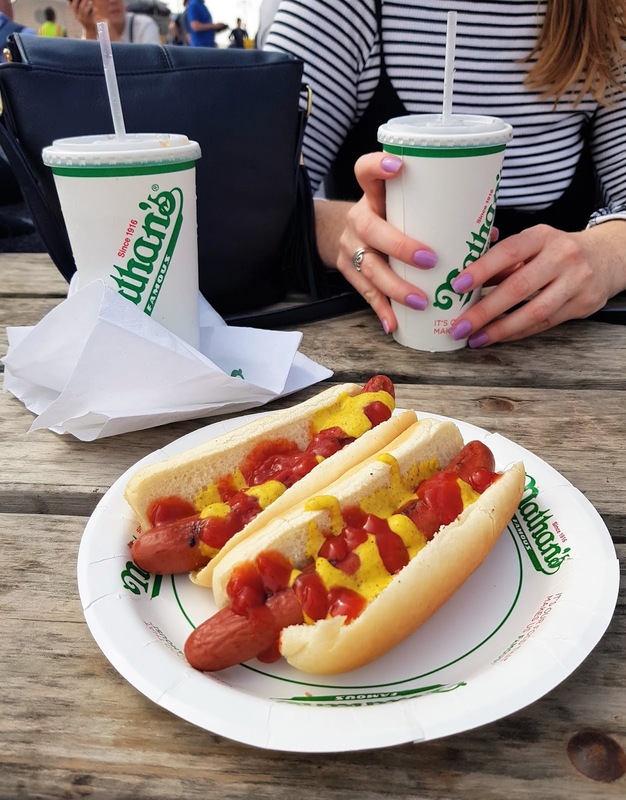 they're the original and the best, and they have the monopoly on hot dogs in new york - that's for sure! when we were back in the city we still noticed nathan's stands all around manahattan, proving just how wide spread their popularity is. 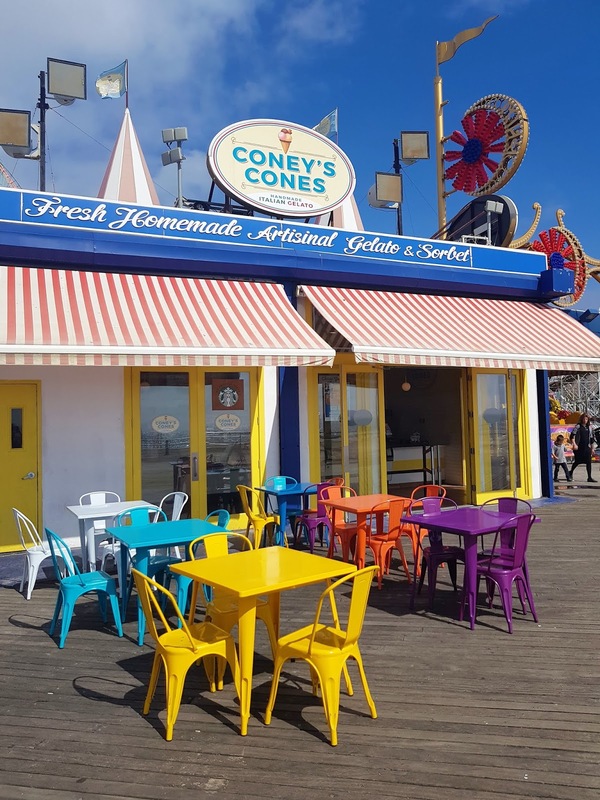 in fact, there are two nathan's in coney island - one on the board walk, and then original restaurant opposite the station, and the latter is easily the more superior. 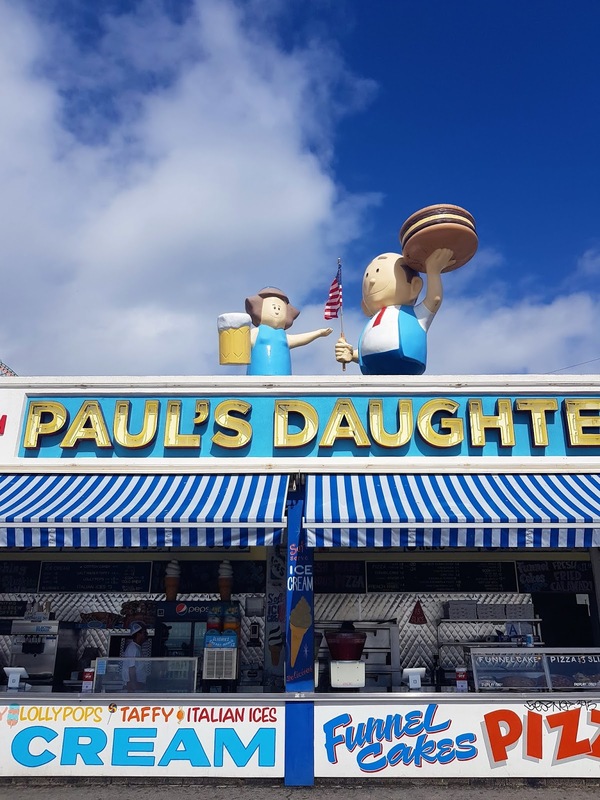 on its exterior it has the names of the nathan's famous hot dog eating competition winners by year, as well as the time it took them to complete the comp. we had to google the rules, to understand why some winners managed more than 60 while others only managed 13, and it seems the time given to undertake the competition has changed somewhat over the years. why? we will never know. the competition has been running since the 1970s and is as regular as clockwork. 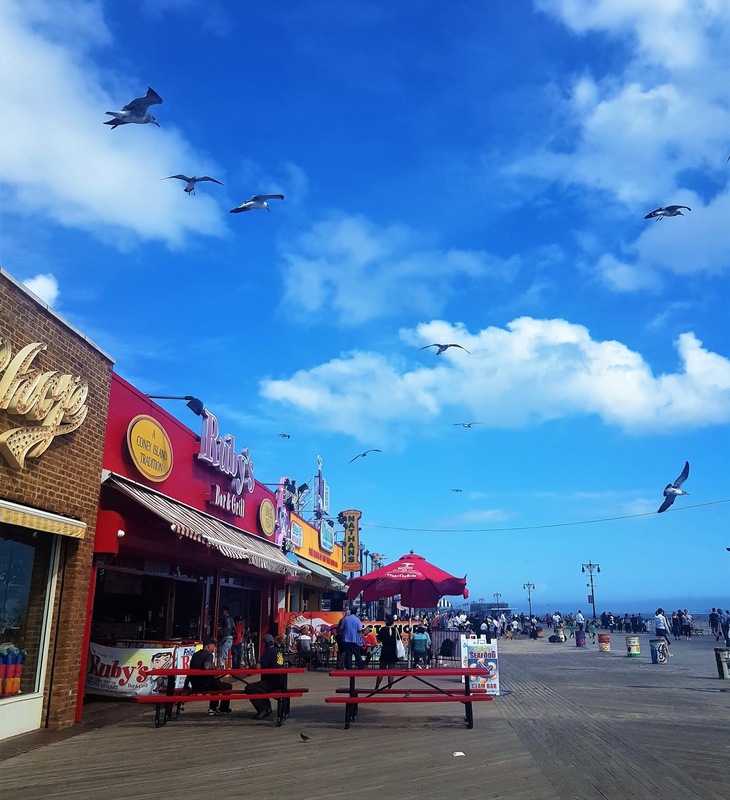 and, dependably, nathan's is also opened 365 days a year.. luckily for us! ever since i was a kid i've loved going to the fair. back in australia, it was "the show" - a once-a-year event that came to town and had rides and junk food and show bag and dog trials and horses and all sorts of fun agricultural and horticultural stuff, but mainly, i was there for the colour and fun of the rides, and the junk that came in the over priced show bags, and "prizes" from the side-show alley. 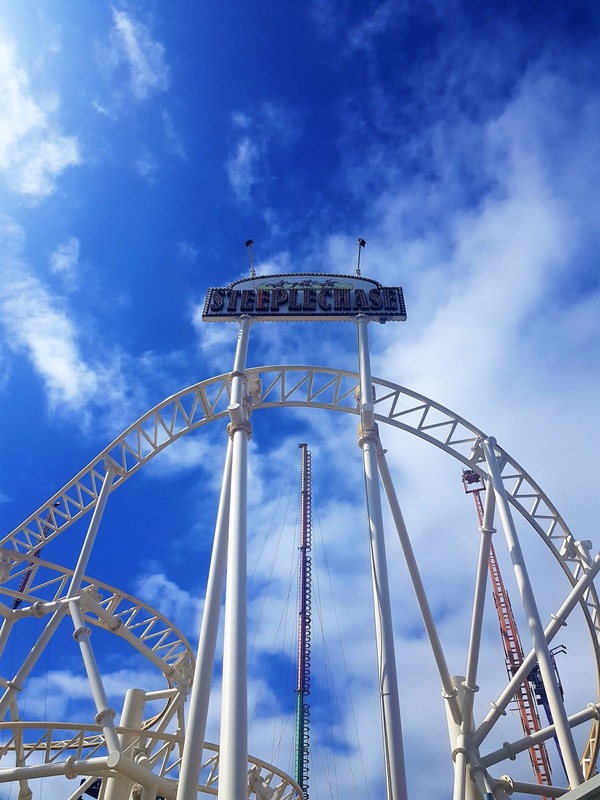 as an adult, of course i have grown to appreciate the value of money a little more, as well as continue to be completely terrified of heights, speed, and things that go "boo!" so naturally, the rides and such are more an exciting backdrop than the main event. 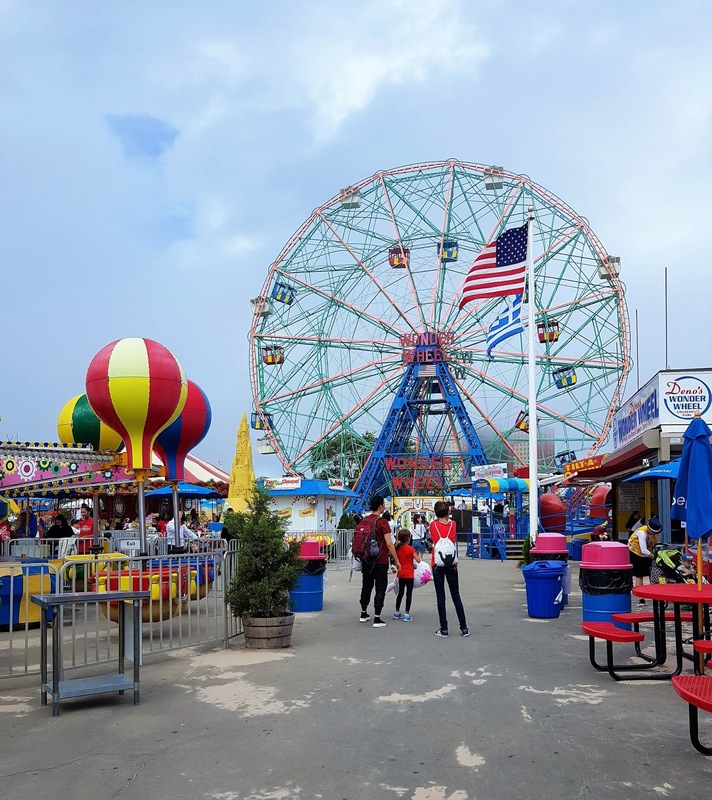 but, a trip to coney island isn't complete without a visit to luna park, and seeing it was shut on the first day, we waited and waited and hoped it wouldn't disappoint. aaaaand, well, at $8 a ticket per ride, it was always somewhat of a disappointment, but we got up on the wonder wheel and screamed when the the carriage rolled back and forth (on purpose), and ate those corn dogs, and considered playing those alley games (until we realised we wouldn't be able to get whatever "prizes" we won out of the country), and enjoyed ourselves the very best we could. and actually, out in the sun, beers in our bellies - it was great. 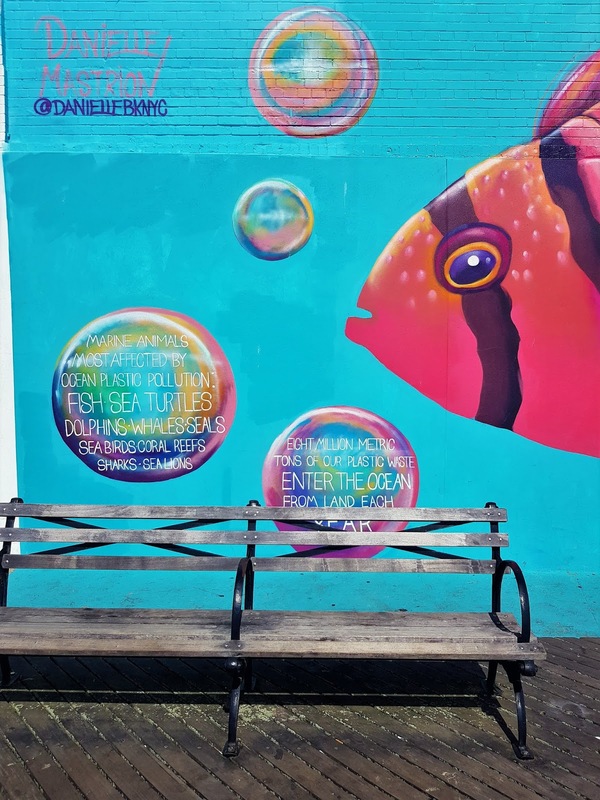 honestly, brooklyn in general is full of street art, but the stuff around coney island was awesome. it was all kinds of political and had a social agenda, and it was ginormous, and generally just great. 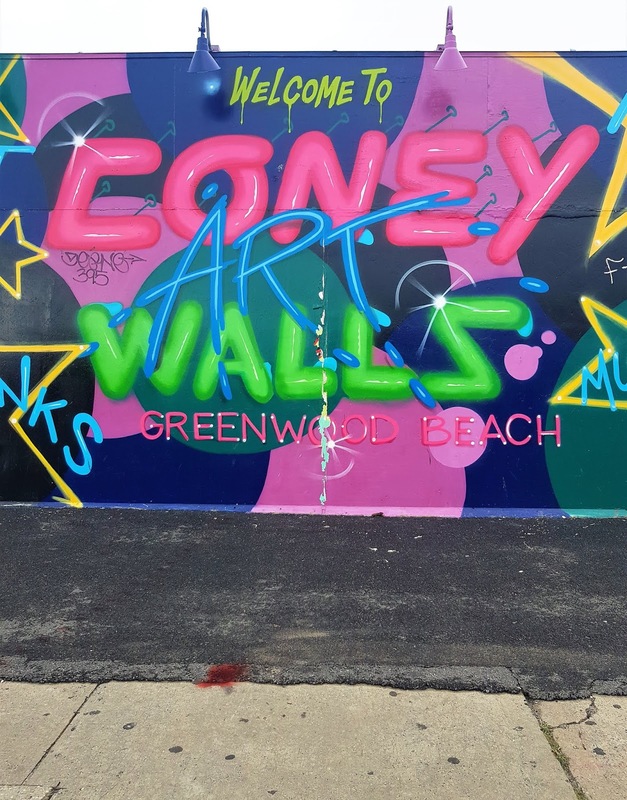 there's supposed to be an exhibition called the coney art walls that's sort of like an open-air street art museum, which is open to the public, and full of amazing art by some of my fave artists; ben eine and buff monster being two of them. 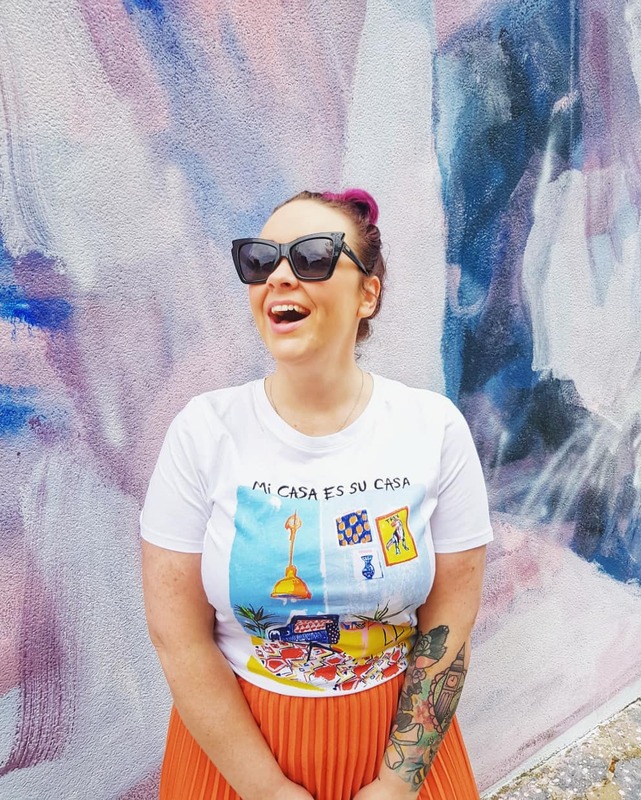 and, the walls are supposed to be open daily to the public from midday, and they're supposed to be surrounded by food trucks and entertainment and excitement. except.. for the two days we attempted to visit the walls, they were behind bars. 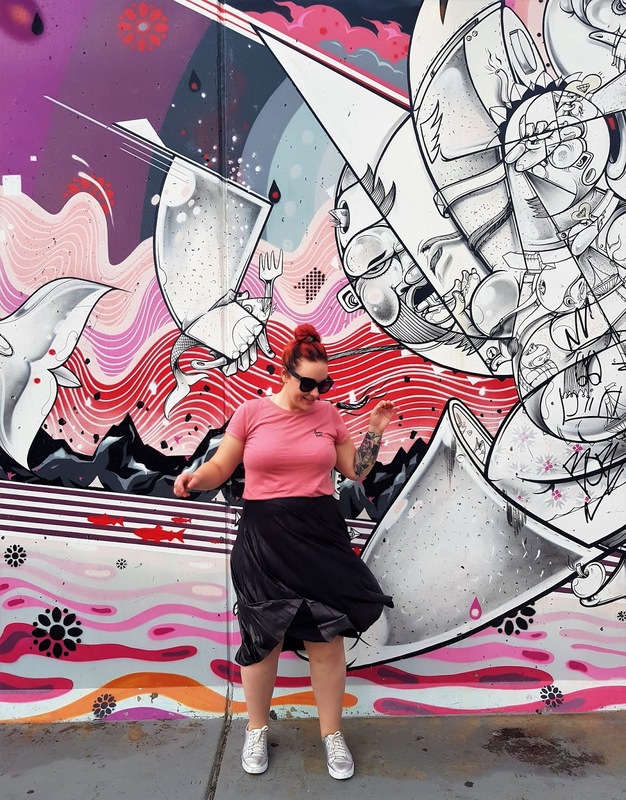 there were some visible outside of the yard, but the majority of the murals were behind fences with black tarp on them, so that you couldn't see in. and, no matter how hard we tried, we couldn't get in. 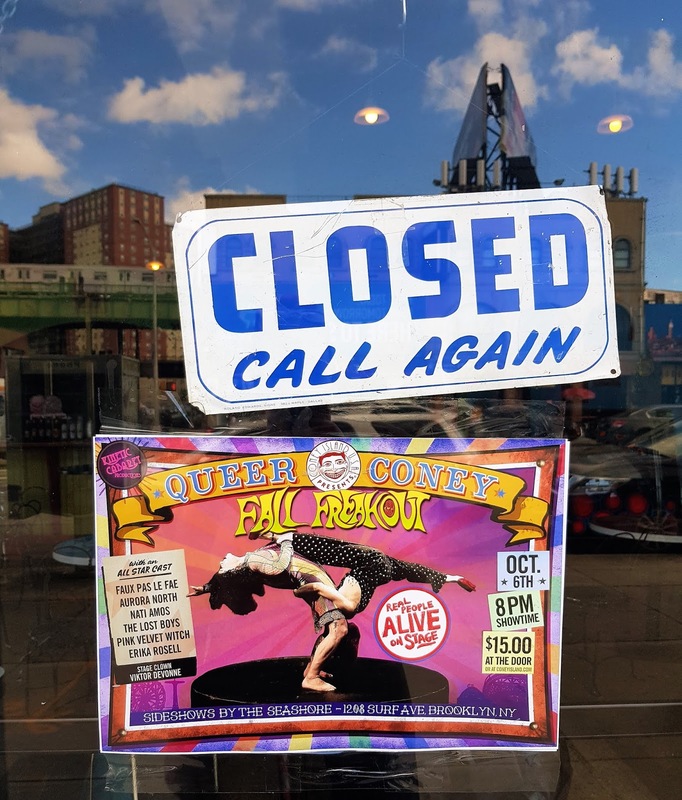 we called them, and facebooked them, and checked their twitter feed, and everything said it should be open.. it just, wasn't. so, that was a disappointment, but it's not as if art was hard to come by in other parts of town. this was another thing that was shut without warning, despite having checked before we went. 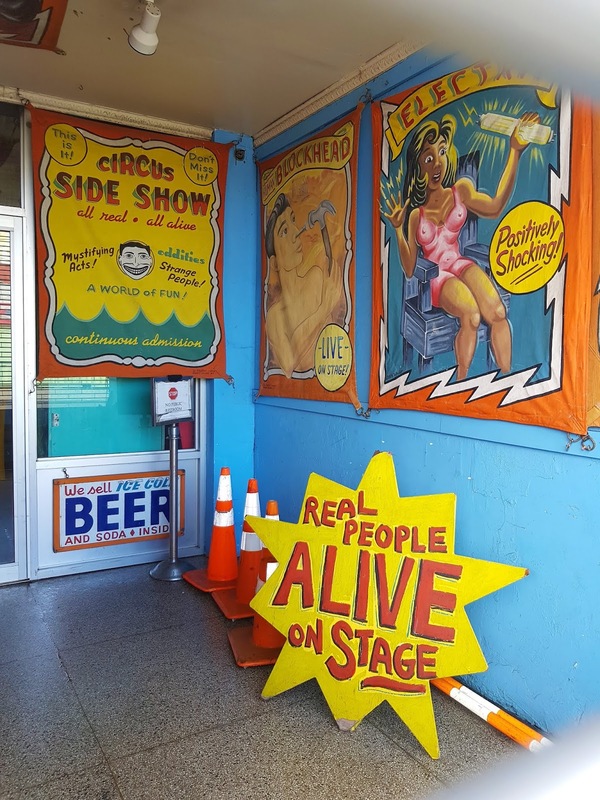 it's a shame as i'd heard such great things about the coney island museum and its "preservation of american popular culture", it's definitely something we were hoping to see. the "congress of curious people" sounds like a modern take on a freak show, and i am here for it. check your dates in advance, so you don't miss out like we did! another addition to the "it was shut" list of missed opportunities, this one. which actually was only a problem when everything else turned out to be shut; it was going to be a "last resort" activity, an "if it rains and we get bored" thing, which sucked when it came time to use that card too. 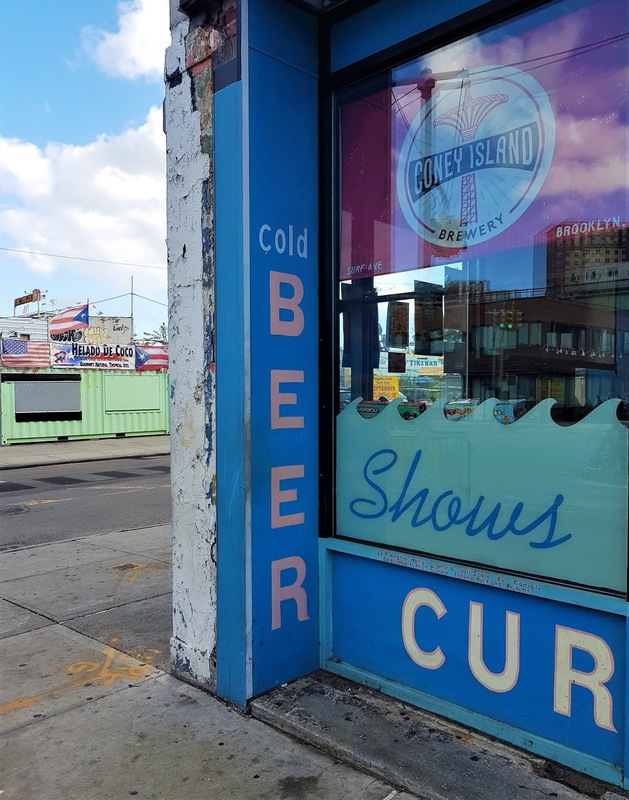 still, we managed to still sample some of the brewery's finest coney island mermaid pilsner at ruby's bar and grill on the boardwalk, which was as close as the fates would have us get this time around. you can do brewery tours, though, which was something i was hoppy (haha) to do in case of emergency. so, yes. 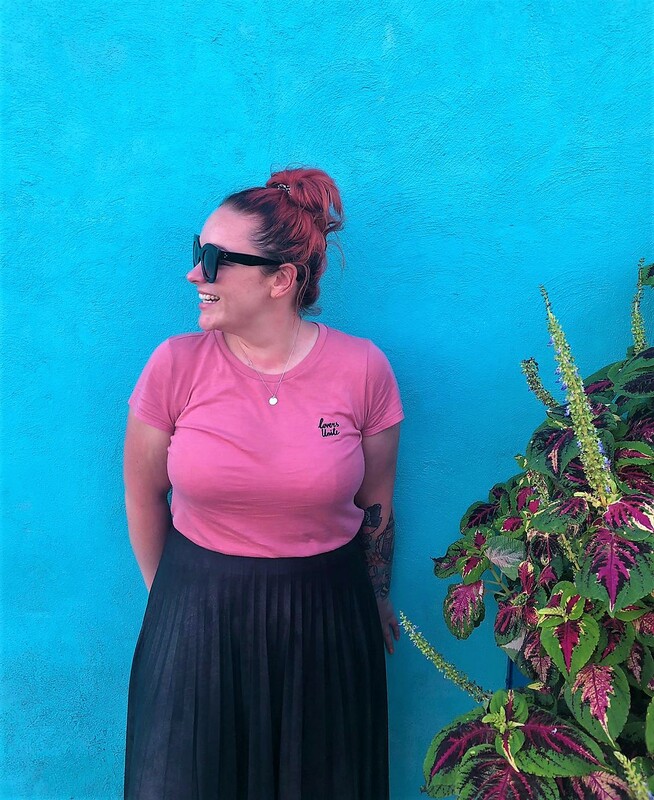 there were a lot of things that were shut that meant our first day was spent getting our nails done, and running between russian grocery stores for cover from the rain, before heading out to dinner, and not a lot else. 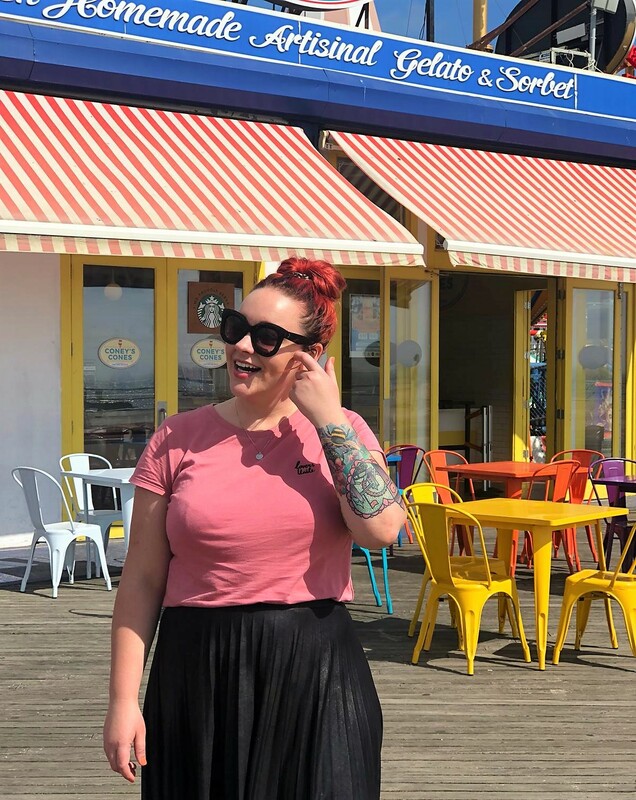 it meant we couldn't really "sight see" in the way we'd have liked, but did mean we had a lot to try and cram in on the second day - and busy days are the best days, proving that a day trip is all it would take (in the off season) to see everything this retro wonderland has to offer. and, i can honestly say this was one of my favourite parts of the trip!